【12/25 ONLY HOLY NIGHT】 will be held! 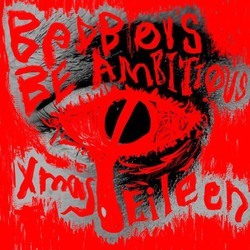 Xmas Eileen will be performing as a guest act in Osaka. 4/27(Sat)4/28(Sun)at Taiwan Taichung Intercontinental Baseball Stadium. Performing date will comming soon. Check out for further information on the official "Heartown Rock Fest’19” website. this event is for helping the reconstruction from the Tohoku earthquake. will be held at the end of the year. Early tickets are only sold on this 3days. Xmas Eileen's new song was originally going to shown for the first time in the ZIP-FM「Kiss me tonight」last night, but the song didn't broadcast by mistake of the staff. We apologize to who looking forward to this announce, and also listening to the radio despite the late night. I'm sorry for the short notice, we will broadcast the new song 「BAD BOYS BE AMBITIOUS」on the following program. Band member put everything they had into this new song. Please listen to this radio who looking foward to our new song. and the artwork is revealed!! 【COME BACK ROCK'N ROLL】presented by Xmas Eileen will held on 3days from 11/23(Fri・holiday) to 11/25(Sun)!! Official advance booking will start from 9/21(Fri)19:00〜!! ・After the gig, we have after party with DJ time. ・There are sticker for novelty goods! All three days end by 23:00. ②After the gig, we have after party at the same place with DJ time.